THE boxing community across Dewsbury, Batley and Spen was in mourning this week after the sudden passing of a man who not only created champions, but turned troubled boys into upstanding men. Keith Tate brought boxing to the district in 1975, when local businessman Bob Edgar enticed him into starting the St Paulinus Amateur Boxing Club in the basement of the Catholic church in Westtown. A gym above the old police garages by the town hall would be called home, as would portakabins on Vulcan Road and the former Dewsbury Moor WMC, before finally the club became the Cleckheaton Boxing Academy. A talented boxer himself, Keith won multiple national amateur flyweight titles, including defeating future world lightweight champion Ken Buchanan, and he fought for England before turning professional first as a bantamweight then featherweight. A promising career ended aged just 21, when after a heavy knockout the British Boxing Board of Control revoked his medical licence. It was a decision that prematurely closed the door on one young boxer, but opened them for hundreds more. Wherever the boxing club called home, Keith Tate’s word was law – as indeed it was at home, where children John, Mark, Julie and Keith Jr grew up alongside hundreds of often troubled children that Keith and his devoted wife Sally fostered over 32 years. “Keith would take many of our foster kids along to the gym, not for them to box, but to show them a world of hard work and discipline,” said Sally. She’d never been a boxing fan but got fed up of sitting at home – so went along and got the bug too. Mark, who boxed before taking up coaching alongside his dad, remembers being woken up by voices singing “we are the champions”. A young Dean Cortese had just won a national boys club title, their first. Dewsbury Moor’s Sykes would go on to become British super featherweight champion as a professional. Keith Tate boxers won 21 national titles, provided 17 national representatives and three world champions in James Hare, Mark Hobson and Steve Conway. But every bit as important to Keith were the nervous or shy youngsters, by no means natural athletes. “Dad saw the best in everyone who walked through the door,” said Mark. “He believed there was potential in everyone if they were willing to work hard and learn. Keith Tate’s gyms always lived by two rules – number one, that Keith is always right, and number two, that in the rare case of Keith being wrong, number one applies. As funny and inspiring, as boxing-smart and passionate as he was, Keith Tate was also argumentative and headstrong and it led to fall-outs with some of his proteges. He never followed them into the professional ranks, because it would have barred him from working with the youngsters that so fulfilled him. Gary Sykes’s pro trainer, Julian McGowan, said: “Keith and I went our separate ways after many years together and sadly were no longer on speaking terms. Although he and Sally closed the club three years ago with Keith aged 71, he had continued to do bits of bag work with boxers. He was diagnosed with dementia last year but loved his time with his 10 grandchildren and two great grandchildren. 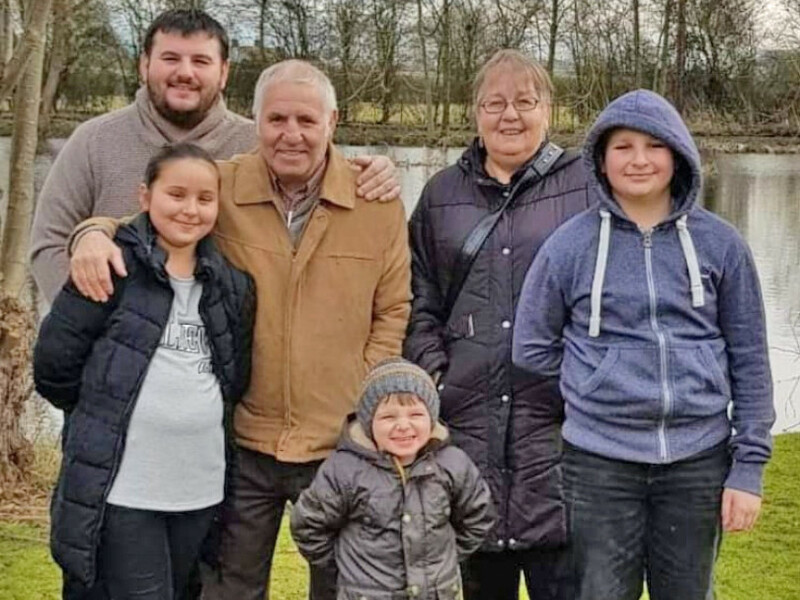 Keith was diagnosed with stomach cancer in December, and had been well in himself – playing with the grandchildren as usual – until taking a sudden turn last week. He passed away peacefully in hospital. His funeral will be at Park Wood Crematorium in Elland on Tuesday, April 23 (9am) and afterwards at the Q Gardens venue in Odsal, Bradford. Friends can contact the family on the email address keithtatelifecelebration@outlook.com.